Google’s acquisition of travel software company ITA drew attention from the government, and in January there were rumblings that the Justice Department could block the deal, or level Google with an antitrust lawsuit. Google has already been slapped with anti-trust investigations from the European Commission, which believes the site has manipulating search results to benefit its own Web properties or those of its affiliates. 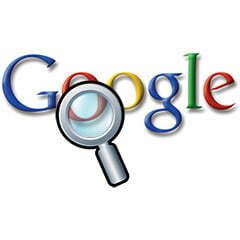 But problems back home will surely intensify the scrutiny Google is already facing. But Google isn’t the only company being placed under the microscope. Senator Kohl also says his subcommittee plans to investigate the Comcast-NBC merger “to ensure that these conditions are being properly applied to foster competition, including competition from new forms of Internet delivery of video content.” The merger was finalized by the FCC in back in January, and the commission planned to impose strict terms to make certain neither party abused their business relationship and stifled the competition.